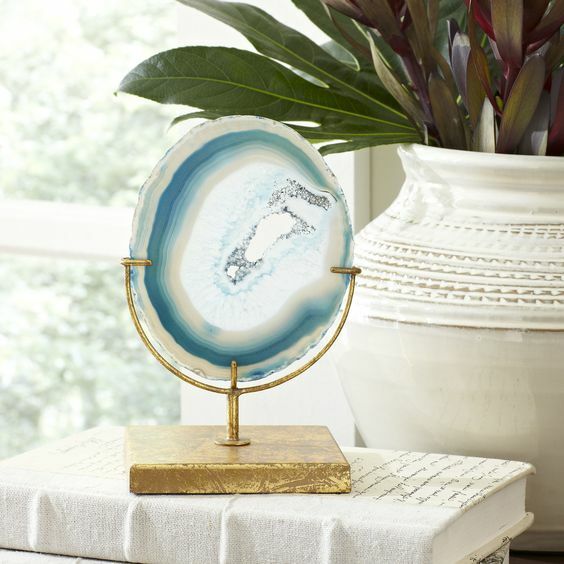 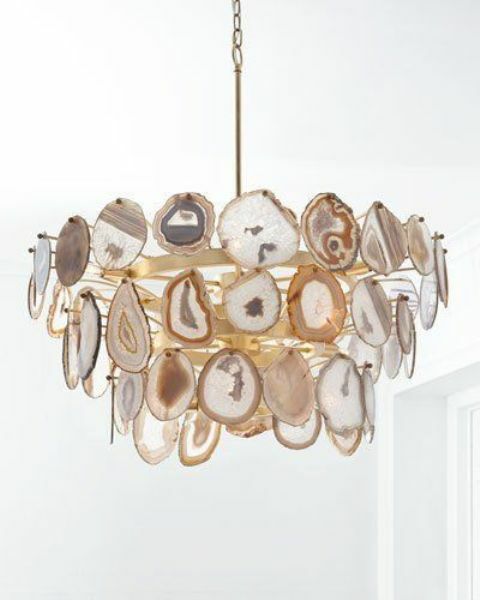 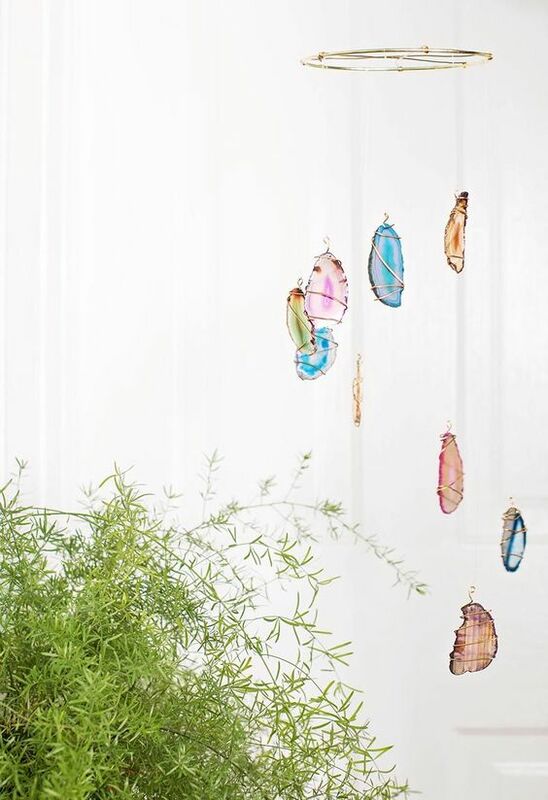 Bring natural beauty to your space with some agate and geode touches! 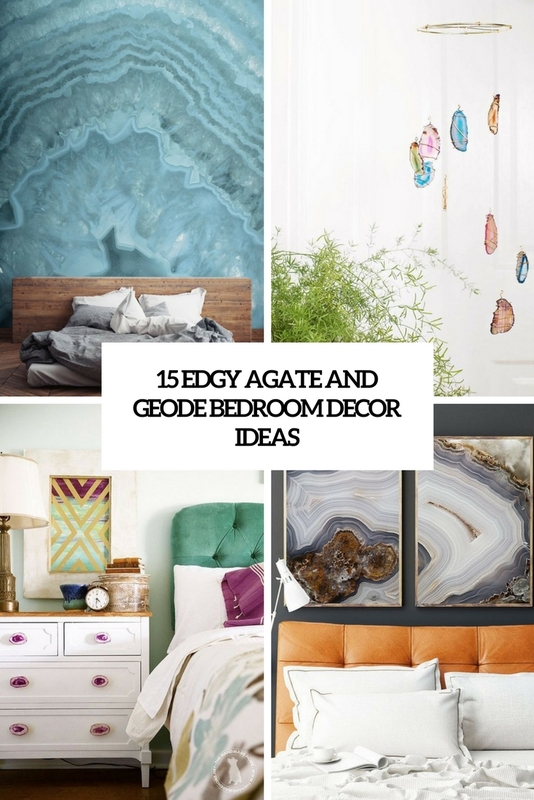 Today we are sharing the coolest and easiest ideas for bedrooms – some of them can be even DIYed if you feel crafty, let’s have a look at them. 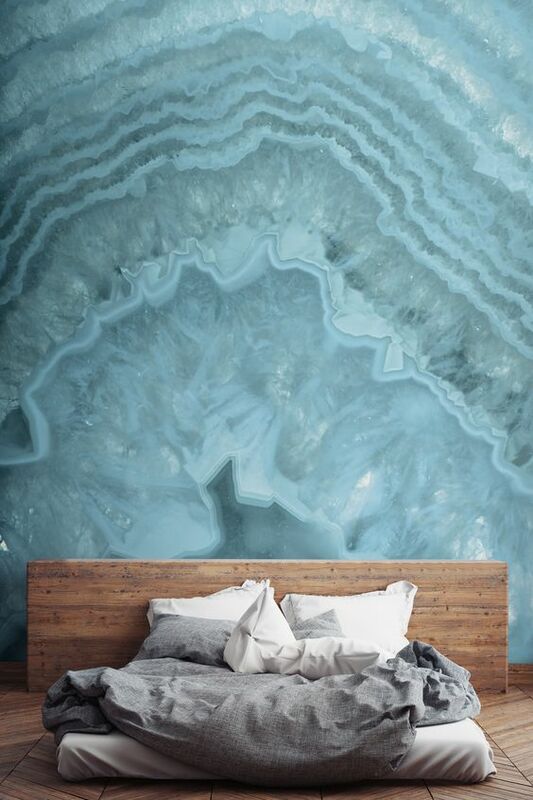 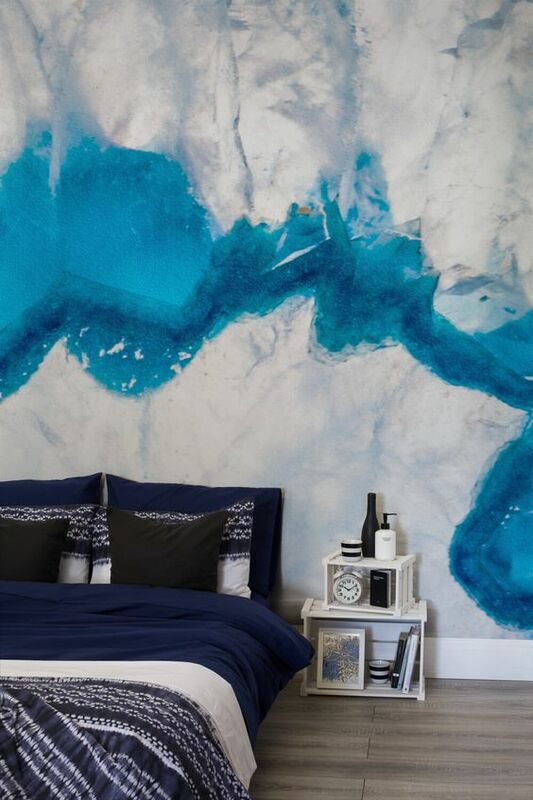 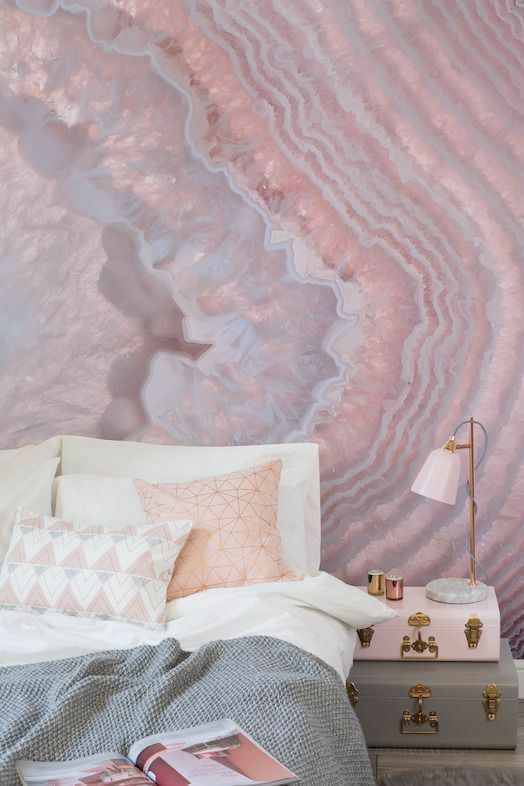 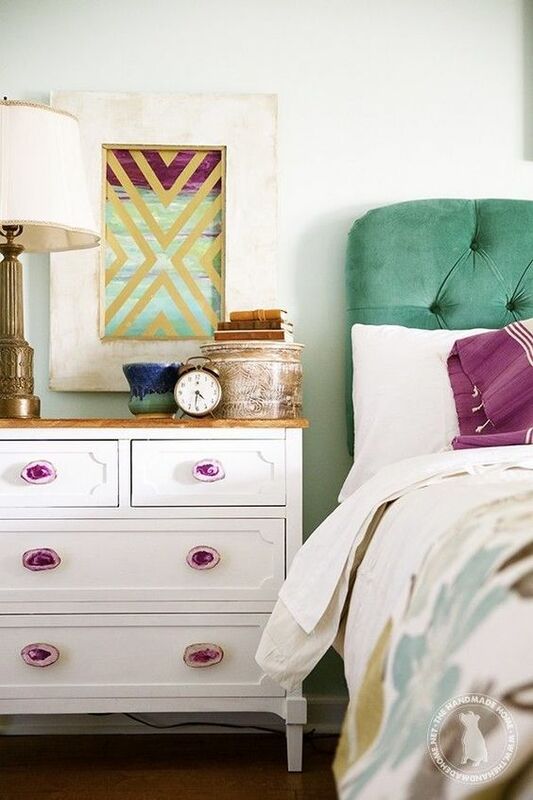 Make a gorgeous crystal or geode statement wall, better a headboard wall. 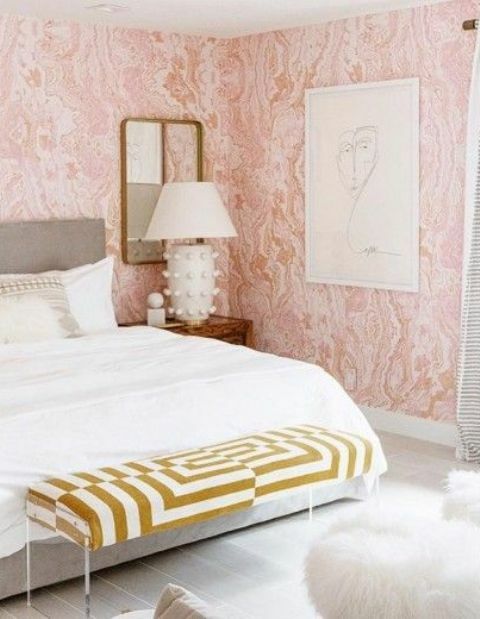 Go for bold wallpaper or a mural and choose the colors according to the style and decor of the room. 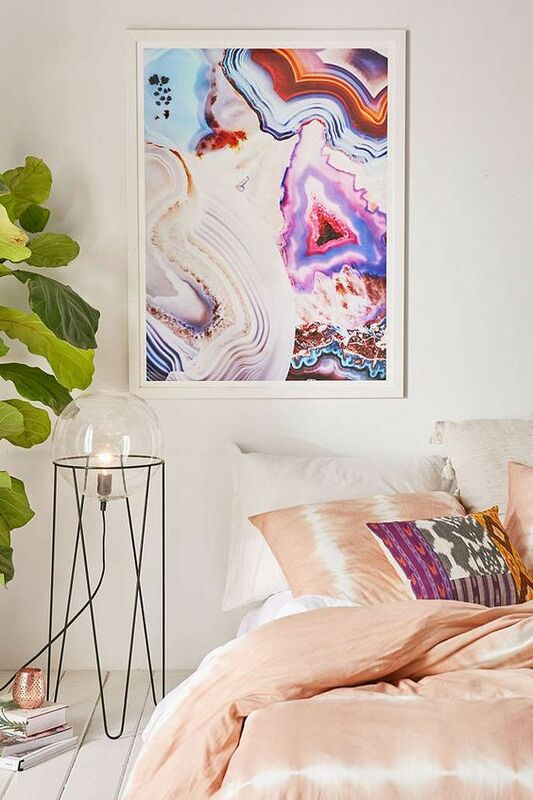 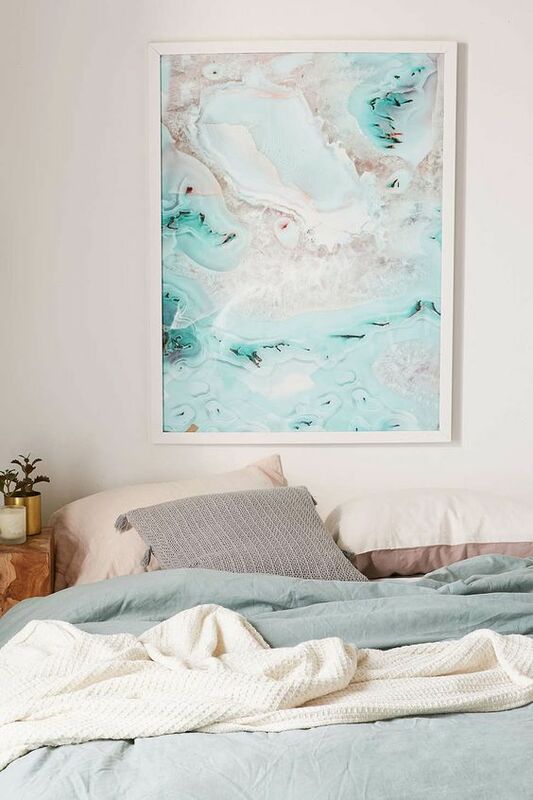 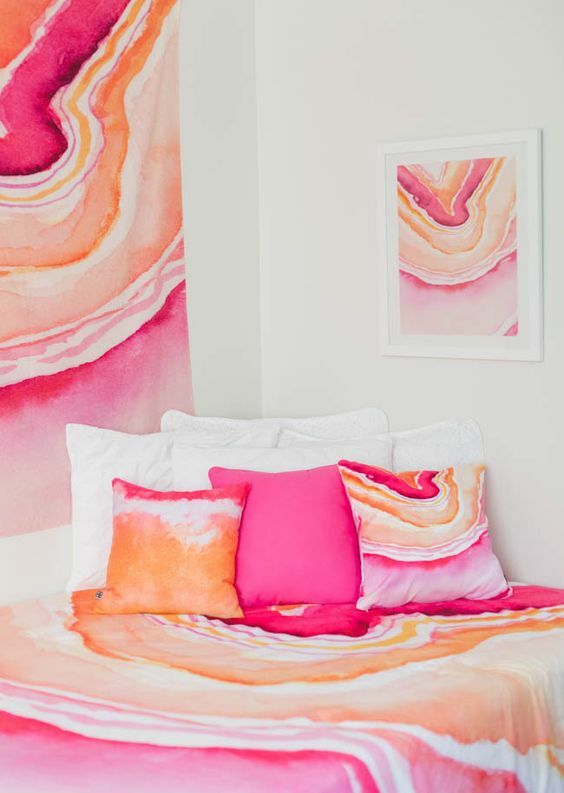 Another, simpler idea, is to add some agate printed wall art pieces and artworks in the colors you like – you can DIY these items and hang them in frames over the bed. 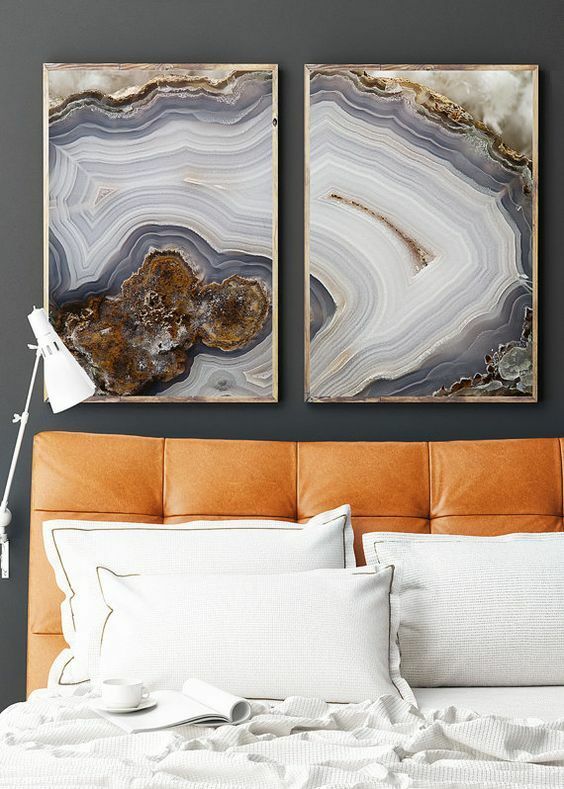 One more way to go is to try agate clocks and hangings to spruce up a plain wall. 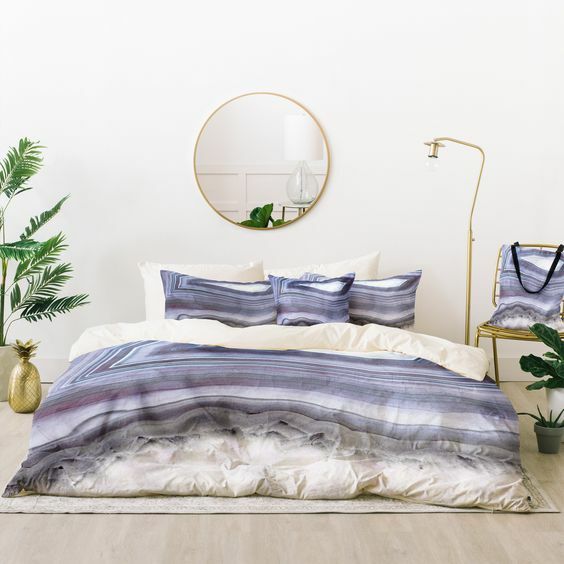 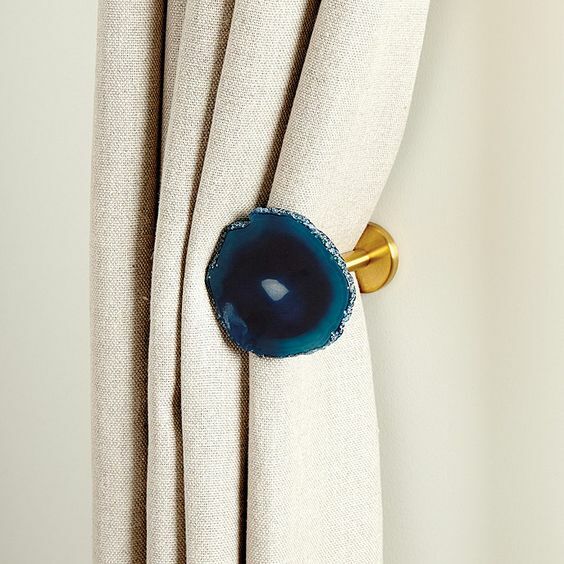 There are lots of ideas to go for: agate drawer pulls, curtain tiebacks, agate dream and sun catchers, agate decor and even bedding – you may add an edgy feel to your bedroom in various ways, choose yours and go for it! 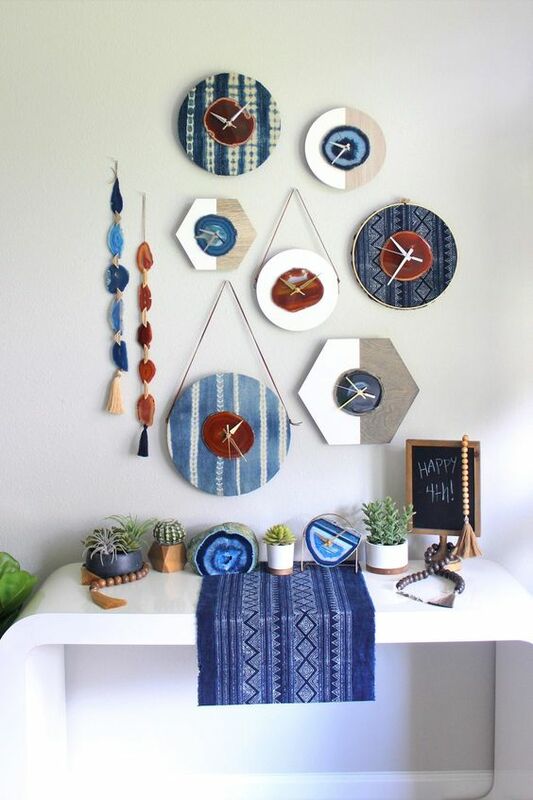 Don’t forget that there are a lot of tutorials for such items, just find them and go craft – this way you’ll pay less for this trendy decor.